You are here: Home / Welcome to our Blog / Boilerhut / What is a Combi Boiler? “What is a Combi Boiler?” is a question you probably haven’t had to ponder upon, especially if your 40 year old back boiler is still working. 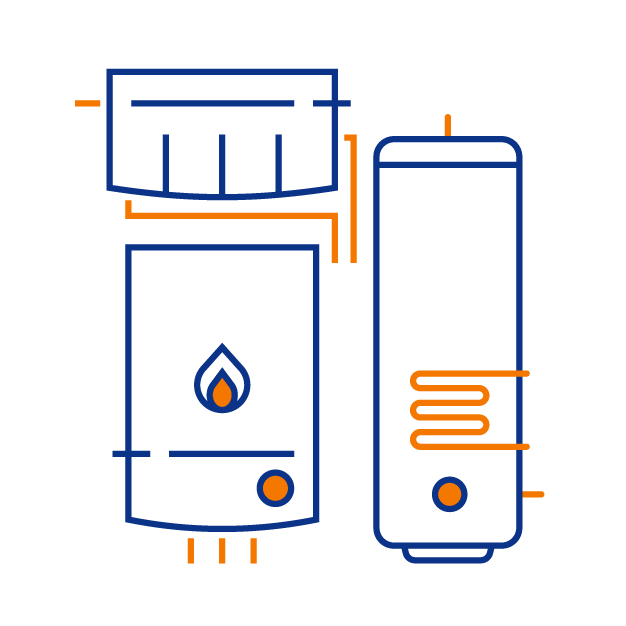 If you’ve had to suffer a boiler breakdown however, and you never had a combi boiler installed in your home, this post will help you understand what is a combi boiler. Although their technically accurate name is Open Vent, they may be called regular or standard boilers in the UK. Why is it called Open Vent? It’s because these boilers are installed on an open vent central heating system. Open vent means the heating system is open to atmospheric pressure. Components of an open vent system include feed and expansion tanks in the loft space, and a hot water cylinder usually in the airing cupboard or next to the boiler. Open vent boilers are also compatible with solar thermal. Combi is short for combination boiler. 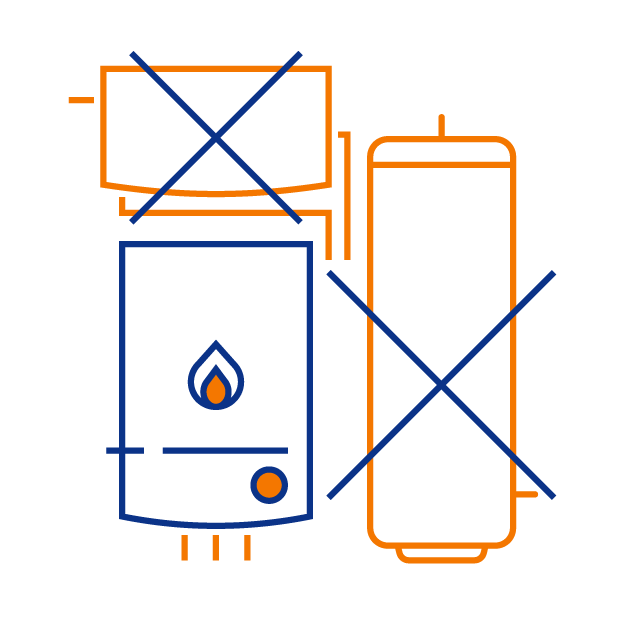 Unlike open vent or system boilers, combi boilers do not require expansion tanks or hot water cylinders. 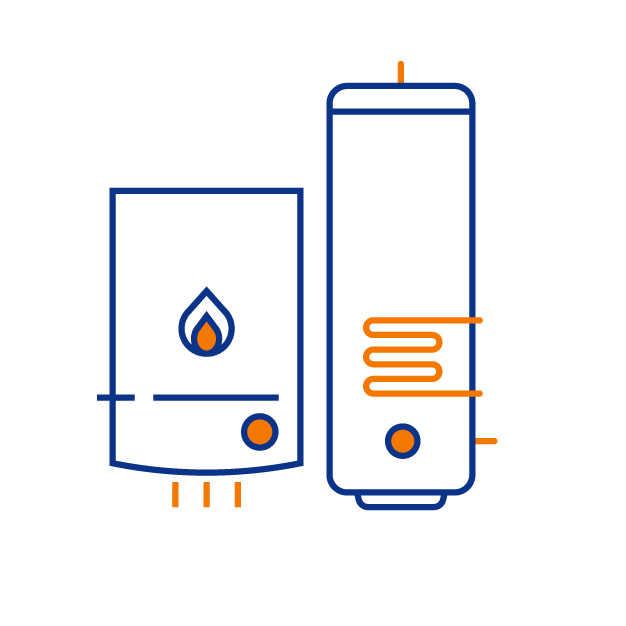 If you’re short on space, combi boilers are a great idea because you don’t need to store cold water tanks in the attic or hot water cylinders in the airing cupboard. They are becoming an increasingly popular choice in the UK for small to medium sized homes. In fact, the best combi boilers now outsell all other types of domestic boilers in the UK at the time of writing this article in August 2018. Why are they called Combi Boilers? Another burning question on top of what is a combi boiler, is why is it called a combi boiler? As we mentioned above, combi is short for combination. It’s because they combine high-efficiency water heating and central heating, within one compact unit. Furthermore, combi boilers deliver hot water through your taps or showers at mains pressure. So, if your mains water pressure is good enough, you can enjoy hot showers without needing any extra pumps. What is a combi boiler cost effectiveness, especially if you buy it straight or get it installed? If you are installing a new combi boiler at your property, or replacing your existing boiler, a combi boiler installation will save you money on installation time and costs. Open vent and system boilers are generally more expensive because of the extra equipment. And because you don’t have to have extra space for tanks and cylinders, it means lesser pipe work and a shorter installation time. What is a Combi Boiler Suitable for Larger Properties? If you have a larger property with 2 bath/showers, and are thinking a combi boiler may be too small or inadequate for your property, don’t worry. There are larger combi boilers available now which house a thermal water storage tank within the unit itself. These are called storage combis. An example of a storage combi boiler is the Viessmann 111-W Storage Combi which houses a 46 litre stainless steel thermal store within the boiler itself. This is a great option because even if you call for hot water in two bathrooms, you still get it at mains pressure. Worcester Bosch have been the market leaders in the UK market for a long time, partly because of the Worcester name, and partly because they do make good quality boilers. Having said that, they are not the best boiler in the UK market today. 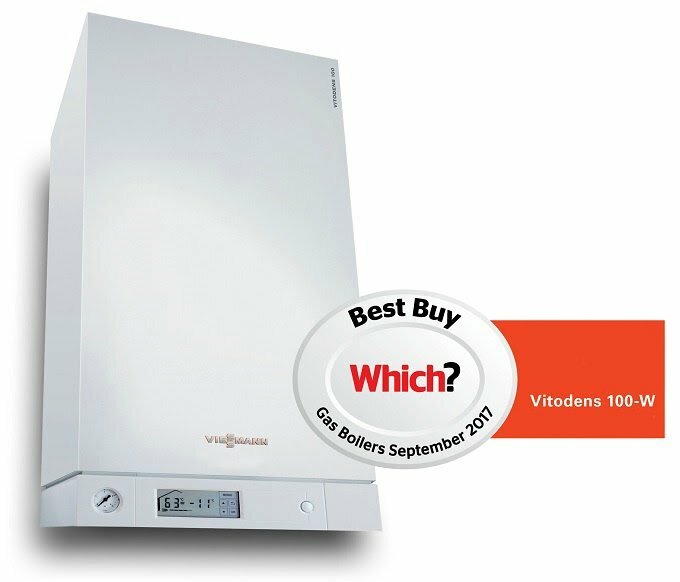 Why are Viessmann Combi Boilers better? A-Rated 94% Energy Efficiency on 050-W and 100-W.
98% and Above Efficiency on Vitodens 200-W.